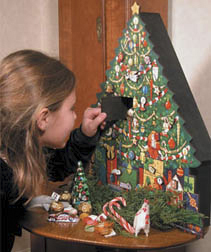 As children my sister and I eagerly looked forward to the arrival of our paper Advent Calendars from Germany sent to us courtesy of our German grandparents! 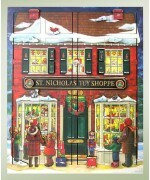 Opening each glittery door each day was so exciting and our excitement only mounted as we counted down the days until that most magical of holidays, Christmas Day! 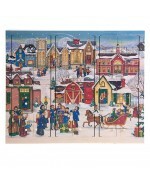 Now Byers Choice, famous for their beautiful hand made carolers, offer an even more spectacular Advent Calendar for children of all ages! 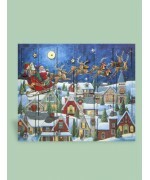 Made of wood, these Advent Calendars offer you the opportunity to fill each and every door with small goodies or little trinkets, with each year bringing new delights! 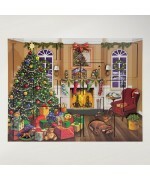 A sure fire hit and something that can be used from year to year. 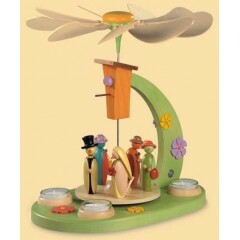 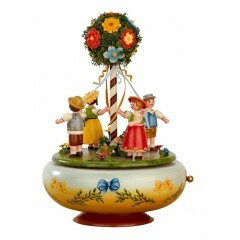 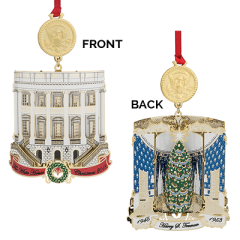 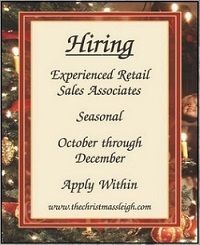 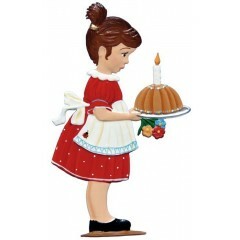 Order one for each child and begin this wonderful tradition with your own children and grandchildren. 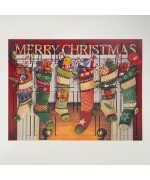 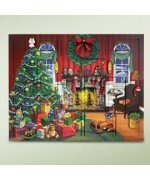 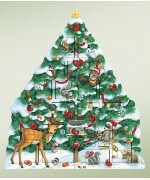 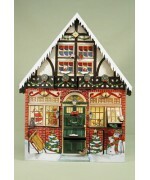 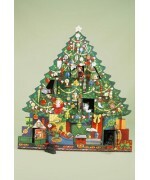 Browse our selection of Byers Choice Advent Calendars. 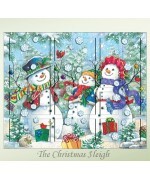 It's difficult to choose with such delightful calendars available but with Byers Choice you really can't go wrong! 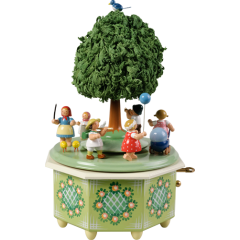 $94.00 Size: 18.5" x 15" tall 3" deep For generations, families have marked the coming of&nb..
NEW FOR 2017! 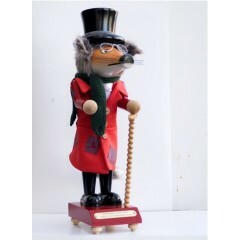 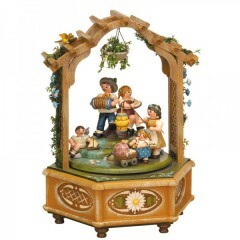 $94.00 Size: 18.5" x 15" tall 3" deep For generations, families have m..
$94 NEW FOR 2017! 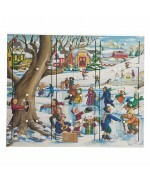 This delightful reimagining of the popular "Fireside" calendar features new ..
$94 "Christmas Fireside Wooden Advent Calendar" The stockings were hung by the chimney wi..
NEW FOR 2018 $94.00 "Winter Fun" Advent Calendar From ice skating to snowball fights, th..
NEW FOR 2018 $94.00 "Christmas Village" Advent Calendar Take a look at all the details i..
Santa's Sleigh Wooden Advent Calendar $94 Ho Ho Ho! 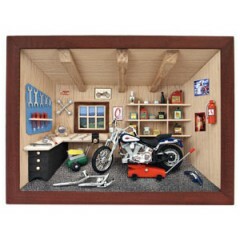 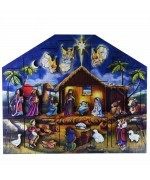 For the young and the young at heart,&n..
$ 94.00 Capturing the true meaning of Christmas, this lovely Nativity scene makes the perfec..
$294 NEW Capturing the true meaning of Christmas, this lovely Nativity scene makes the pe..
$294 Size: 18.5" H x 15" W x 3" D For generations, families have marked the coming of Chr..
$94 "Christmas House Wooden Advent Calendar" This snow covered chalet is truly a Christmas Hou..
$94.00 "Christmas Wooden Tree Advent Calendar" This Christmas Tree with its traditional s..
$94.00 Size: 16" x 22" 3" deep For generations, families have marked the coming of Chri..